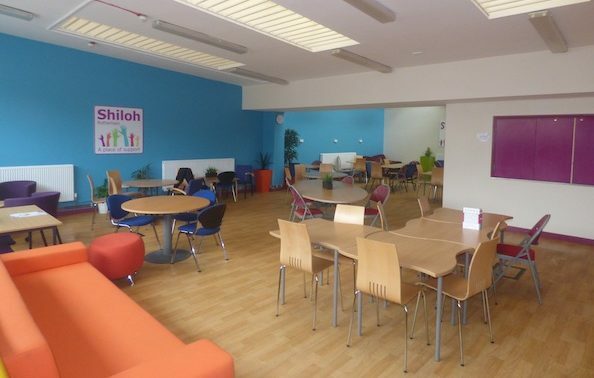 Shiloh is a Rotherham based charity that offers support to adults who are homeless or at risk of becoming homeless. We work alongside every ‘guest’ of Shiloh, to help them to plan for and realise a better future. Founded in 1992, our caring team of staff and volunteers work with partner organisations to provide meaningful opportunities that help bring about positive change in the lives of our guests. From our Support Centre in Masbrough, we offer housing advice, education & training, creative activities and support for health and addictions. We also offer practical support including a healthy breakfast & lunch, laundry services, hairdressing, clothing and bedding. Shiloh (pronounced Shylow) is named after a town in the Bible, which was referred to as somewhere people could go to for refuge. We offer a safe place where people will be accepted and supported throughout their time with us.